Hockey Alberta wants to work with partners who share in our vision, HOCKEY FOR LIFE. For you, sponsorship is a powerful way to spend your marketing and advertising dollars. Sponsorship tells the residents of Alberta, and beyond, that you believe in supporting excellence, development, and leadership to help ensure this province’s rich hockey foundation is ALBERTA BUILT for future generations. Hockey Alberta operates an almost endless list of programs throughout the year across the province. You could sponsor the Alberta Cup or Alberta Challenge, WHL or AJHL Game Day Speaker Series, elite player camps, player development camps, or the Hall of Fame Gala. Tell us about your target audience – we have an ALBERTA BUILT program or event to meet your goals. individuals who play crucial roles at the local level in ensuring our ALBERTA BUILT players have a positive learning experience. Your message will reach the core of Alberta’s hockey community. And Hockey Alberta’s stakeholders in that community - players, coaches, officials, trainers, parents - will benefit because of your commitment to be an ALBERTA BUILT partner. Let’s discuss a partnership package that is a fit for you! Each year the Alberta Hockey Hall of Fame Committee selects a minimum of six inductees to be formally enshrined in the AHHF Gallery. It is at our prestigious awards gala that these recipients are acknowledged and celebrated for the successes and contributions in and to the game of hockey. Since 2015, inductees have been recognized at a special gala event held in Canmore. The AHHF Awards Gala provides an opportunity for guests to enjoy not only the event, but time together in the beautiful Rocky Mountains. The gala, full of hockey history, stories, great food and unique silent auction items is certainly one that inductees, families, friends, past inductees and you are sure to enjoy! 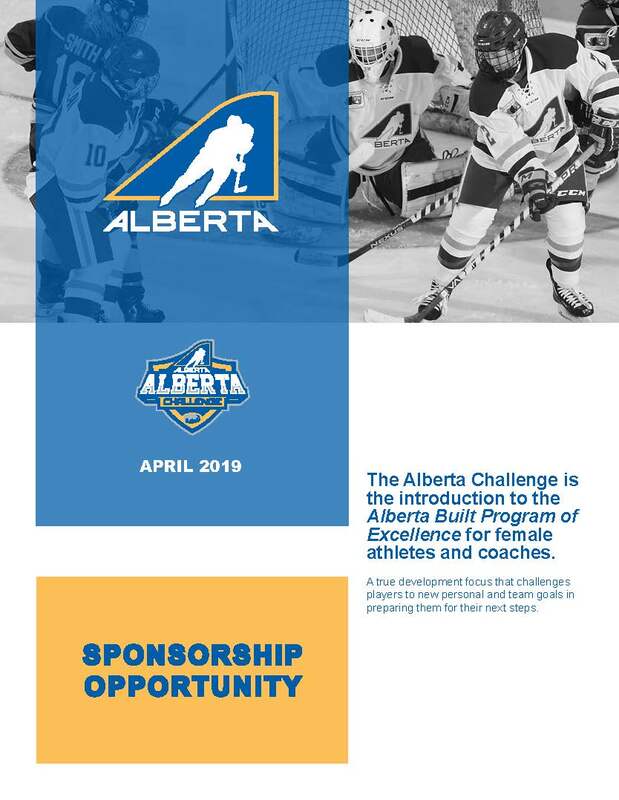 Alberta Challenge > is the introduction to the Alberta Built Program of Excellence for female athletes and coaches.The Alberta Challenge is alternating years with the Alberta Winter Games. The Alberta Challenge process begins in March, with bantam-aged players trying out at their respective regional camps. 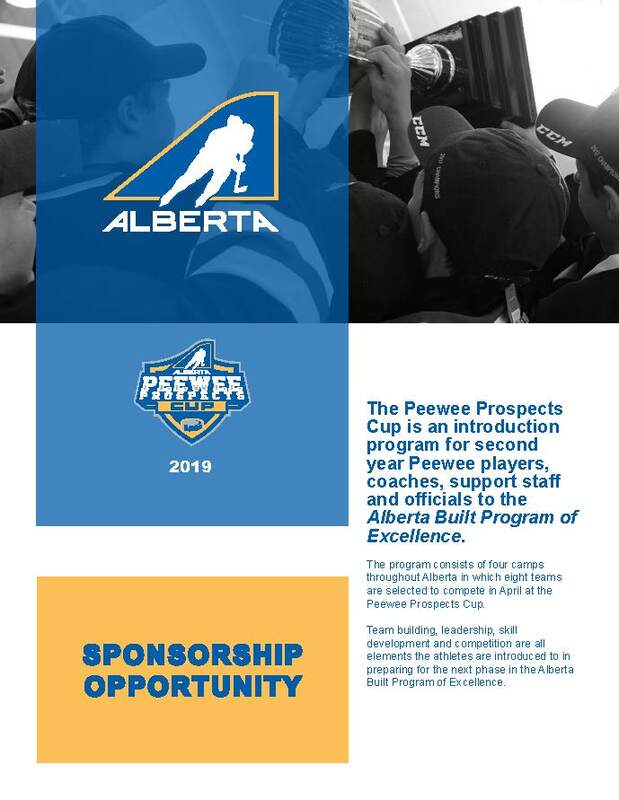 Peewee Prospects Cup > is an introduction program for second year Peewee players, coaches, support staff and officials to the Alberta Built Program of Excellence. Team building, leadership, skill development and competition are all elements the athletes are introduced to in preparing for the next phase in the Alberta Built Program of Excellence.